Soleil Noir was founded by Sanja Karic, a designer who used to dream of life as a constant journey. She is now living between France and the Balkans, making this journey a dream come true. Soleil Noir is the product of a personal expression inspired by vintage culture. It recalls the literature, photography, fine art of the late 19th and 20th centuries, and the great artists who left their prints on our culture. The name of the brand itself has been inspired by the poem El Desdichado (The Disinherited) by the poète maudit Gerard de Nerval, and the words “Ma seule étoile est morte, - et mon luth constellé / Porte le soleil noir de la Mélancolie” (‘My sole star is dead – and my constellated lute/Bears the black sun of Melancholy’) are echoing through the entire collection of graphic T-shirts: dark and gloomy, but also romantic and nostalgic at the same time. 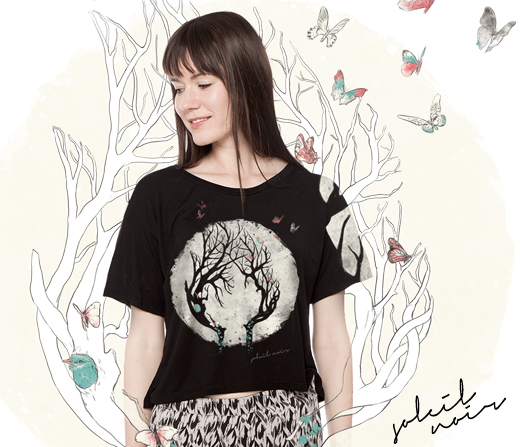 Each print by Soleil Noir is hand-drawn and tells a peculiar story inspired by real life or imaginary worlds. Their accessories, and punk rock-style baby gear will be launched on their website soon as well. 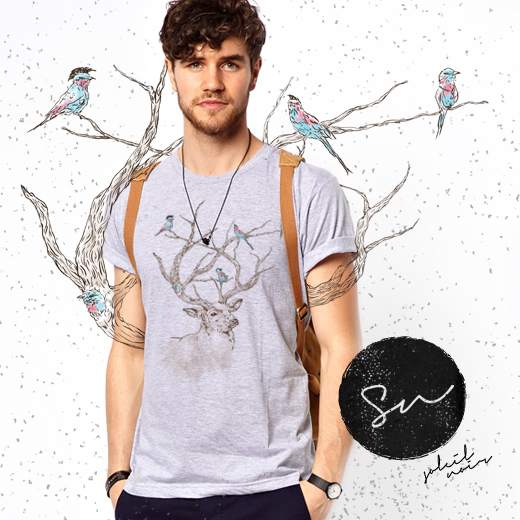 In order to be able to focus on the creative work, Soleil Noir has teamed up with Spreadshirt, in charge of the printing and shipping. 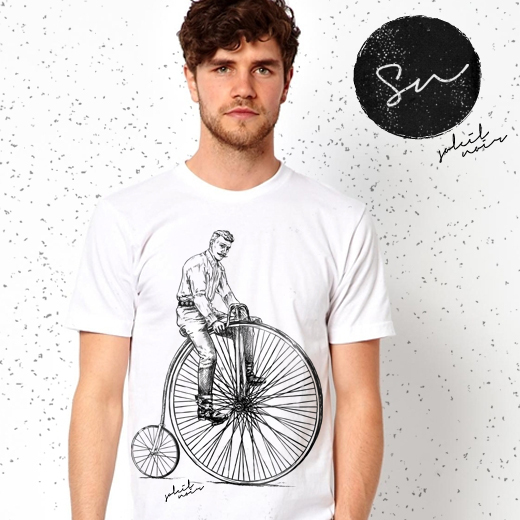 Soleil Noir drawings are now being printed on tees & tops from renowned brands such as American Apparel, High 5 and others.